The Duttons Show - A Family Good Time! - USA Patriotism! The Duttons Show - A Family Good Time! Scenes from the entertainingly diverse Duttons Show during the November 2018 Veterans Week in Branson, Missouri. Their must experience show features a variety of instruments, including violin, guitar, bass, viola, banjo, mandolin, keyboard, harmonica, and drums, among others. 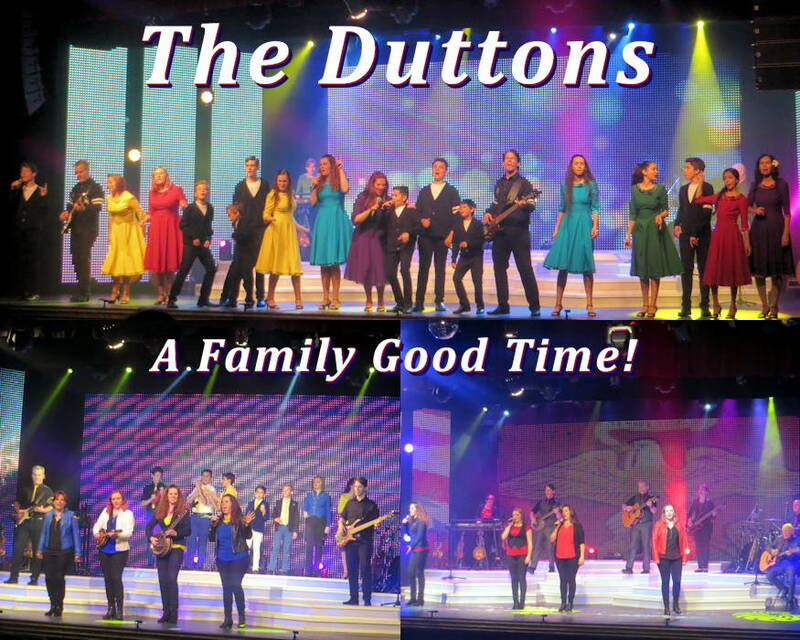 In addition to their award winning instrumental virtuosity, the Duttons are accomplished singers and dancers ... including their talented children who are involved throughout the enjoyable, feel good family show ... with a patriotic overtone that honors the troops, veterans, first responders, and law enforcement. In The Heart Of America | See more about Branson, Missouri at USA Patriotism!